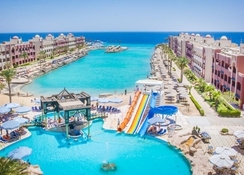 Sunny Day El Palacio is a lively, all-inclusive family friendly resort 4km from downtown Hurghada on the lovely Red Sea coast. Featuring private access to a fine white sand beach, the hotel offers landscaped swimming pools and excellent diving in the hotel's lagoon and coral reef. 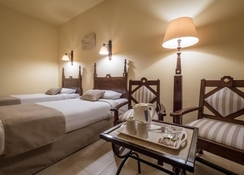 The hotel invites guests with a range of tastefully appointed rooms with all modern facilities like TV and air conditioning and a touch of warm, Egyptian hospitality to enjoy a comfortable stay during their Hurghada holidays. Offering many restaurants and bars, the property provides its guests a host of choices including a large international buffet, an a la carte Italian restaurant and a seafood restaurant offering magnificent views the sea. Sunny Days El Palacio has access to a private beach of fine golden sand. The Hurghada International Airport is 13.2km, a 10minutes’ drive and downtown Hurghada is 4.3km. The New Marina is 5.8km away. Sunny Days El Palacio has airy, spacious and tastefully appointed rooms in standard and deluxe categories. Each of the rooms come with private patio or balcony with gorgeous views. These air-conditioned rooms are equipped with en-suite bathrooms, sitting area satellite TV, telephone, safe and a minibar. 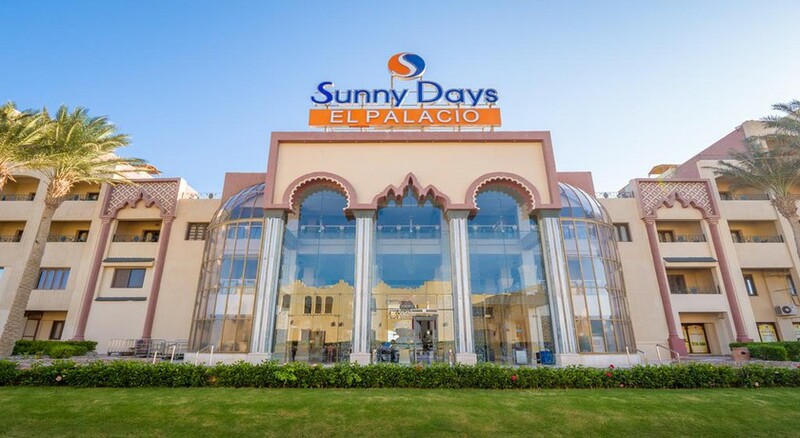 Sunny Days El Palacio has a clutch of restaurants and bars including a large international buffet, an a la carte Italian restaurant and a seafood restaurant offering magnificent views the sea. An Oriental Restaurant serves a la carte dinner. A special kid’s menu is available. Packed lunches can be ordered on request. The hotel has a swimming pool and kids’ pool and terrace besides access to the private beach. There is a fully equipped gym for those who wish to stay active. There is a lovely spa with steam room offering massages and therapies and beauty services are available at additional charge. Tiny tots can have fun at Kid’s Club or Playground. 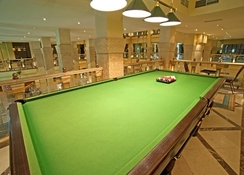 The hotel has facilities for Darts, Table tennis, Beach Volleyball, Water Polo, Game Room and Billiards (Additional charge). The hotel’s on-site Water Sports Centre offers diving, windsurfing and sailing. Guests can also shop at the shops on-site. There is lively evening entertainment and a nightclub too.